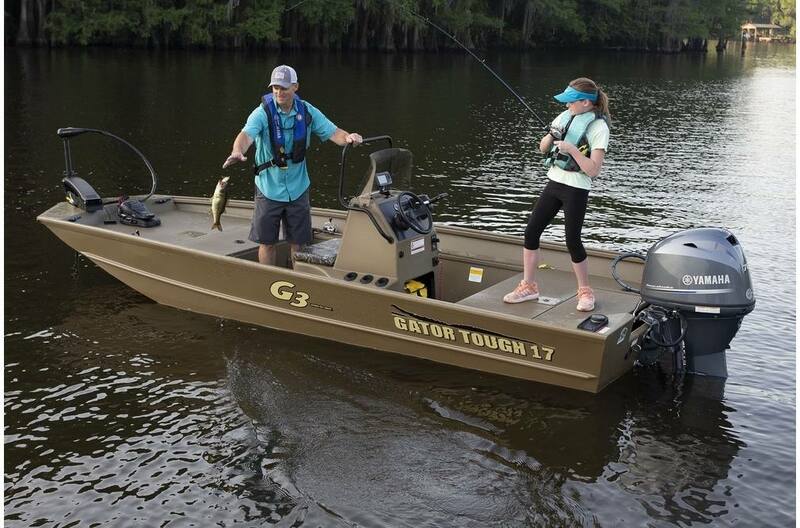 The Gator Tough™ 17' Center Console provides a superior choice for the angler without boundaries; right-sized for river or lake, the superior hull design, with 10 degree deadrise and shallow V entry line, creates a quick time to plane and a smooth, fuel-efficient ride. It all adds up to more performance, with less horsepower. 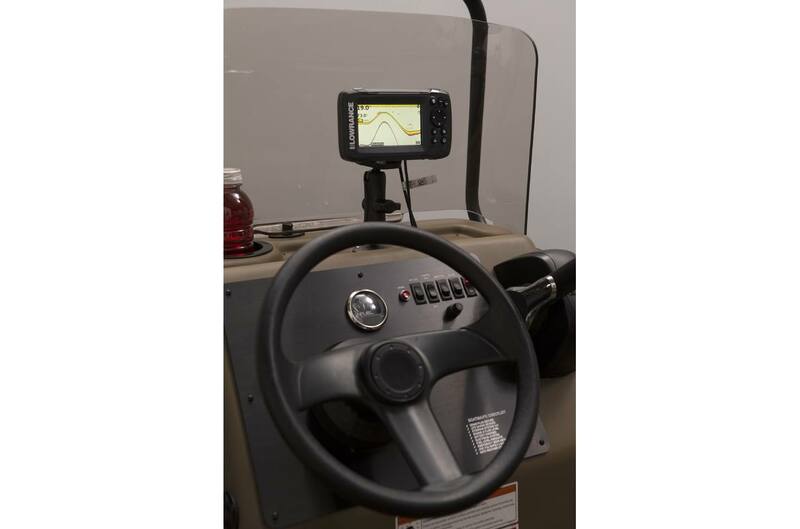 G3 is proud to partner with Navico ® Marine Electronics to offer optional Lowrance ® products throughout the Gator Tough™ Jon boat lineup. 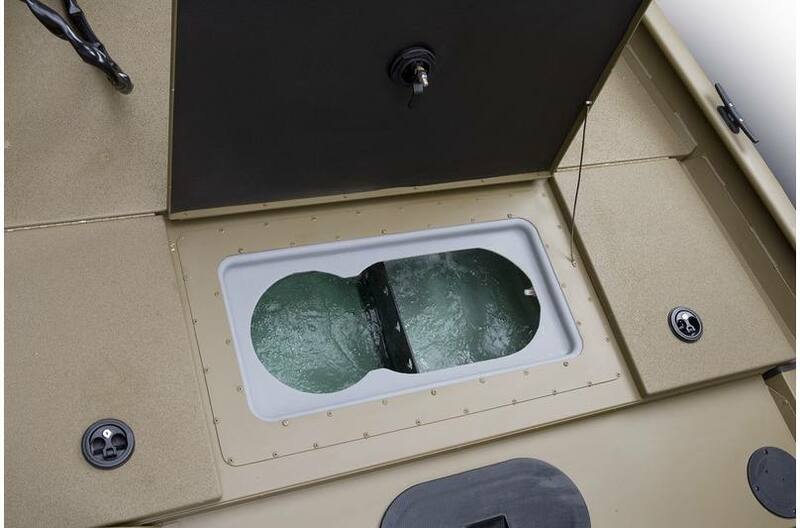 Large 19 gallon livewell is trimmed to hold a Plano® bait bucket. 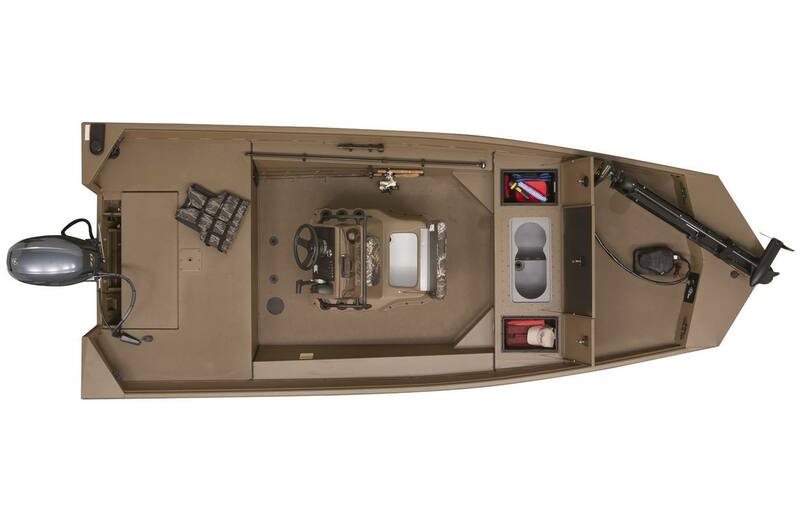 The deep roto-molded livewell on the bow is flanked by handy lockable storage. 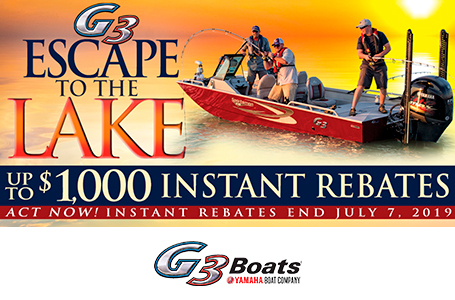 Popular options include a selection of 24 volt MinnKota® trolling motors. 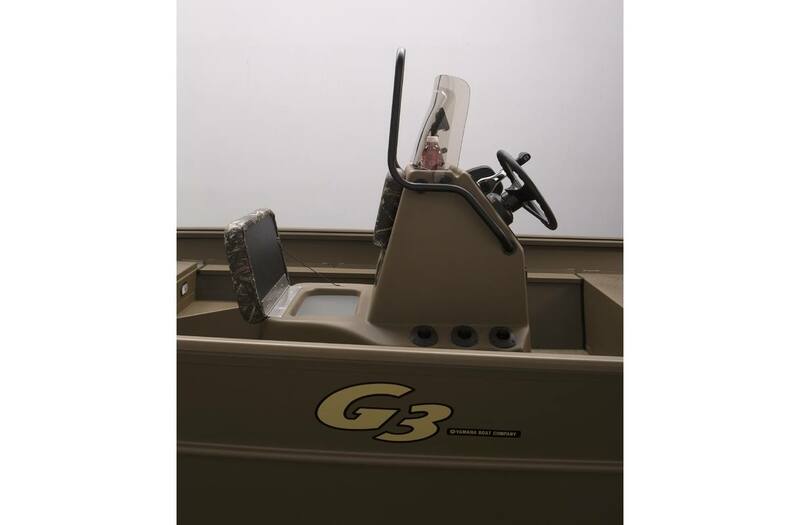 G3 center consoles are the result of a “continuous improvement" process. 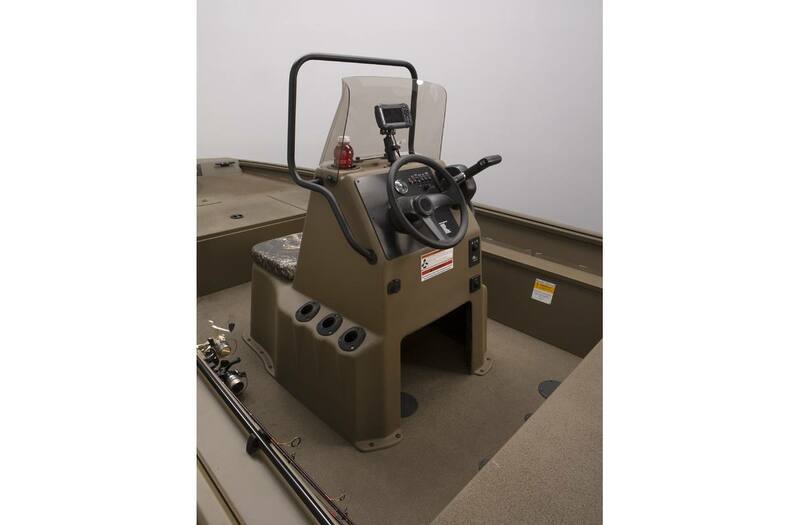 Now featuring a one-piece molded part, eliminating any separation or weakness between top and bottom. This insures a stronger, longer lasting console; a great example of smart design and year to year improvement. Compare…and prepare to be impressed. G3 has earned this reputation: “Quality…Performance…Satisfaction." Boat Length: 17 ft. 2 in. Package Length: 21 ft.8 in. Dry Hull Weight: 865 lb. Max Weight Cap: 1000 lb. Livewell Dimensions: 15 in. x 20 in. - 14 gal. 10 in. x 29 in. - 19 gal. * Deduct 20" from Package Length with Trail Guard tongue removed. 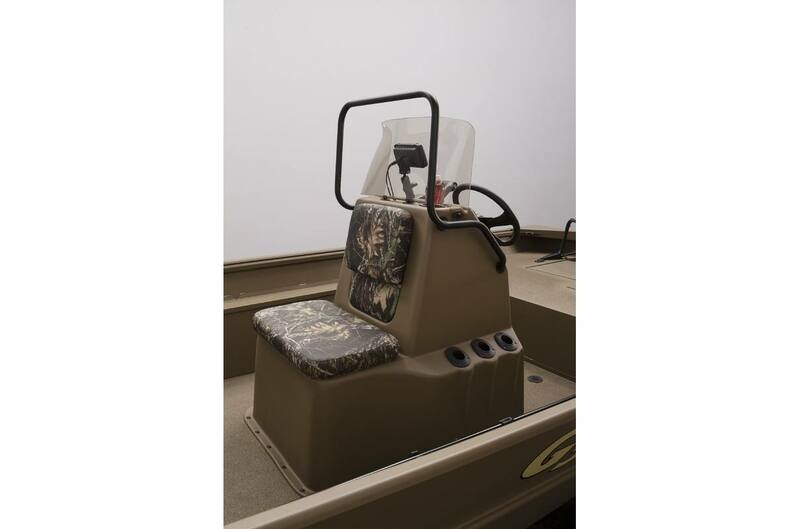 Package Length Overall length w/ trailer and motor. Package Width Overall width w/ trailer. 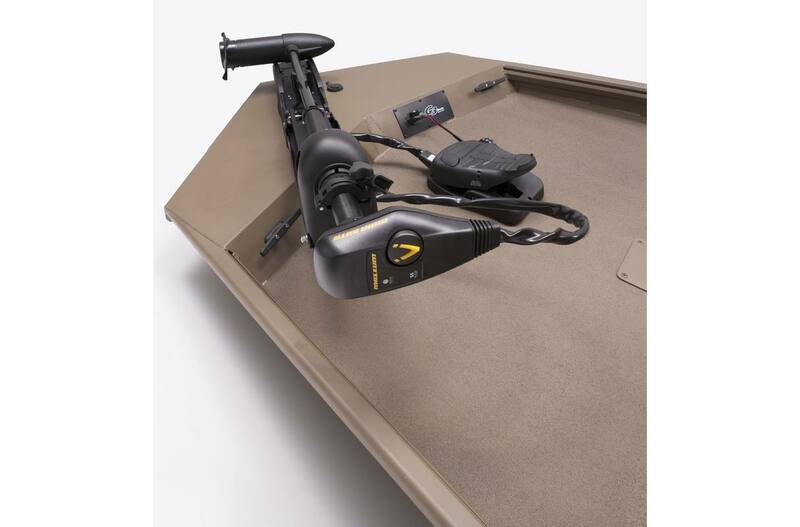 Package Weight Includes maximum HP motor.